This Mother’s Day, in collaboration with notonthehighstreet, we’re celebrating all those who mum. I want to emphasise that gifting shouldn’t be purely for a biological mother, but for mothers in every sense. For that one woman who has stood out for you, carved the imprint of yourself on the world, and who has raised you or impacted your life in place of a traditional mother/child relationship. My mum is very much that person for me, as is my mother in law for my husband. These were a little gift from me to myself and Edith, chosen with the help of notonthehighstreet and I am loving the symbolism of them. 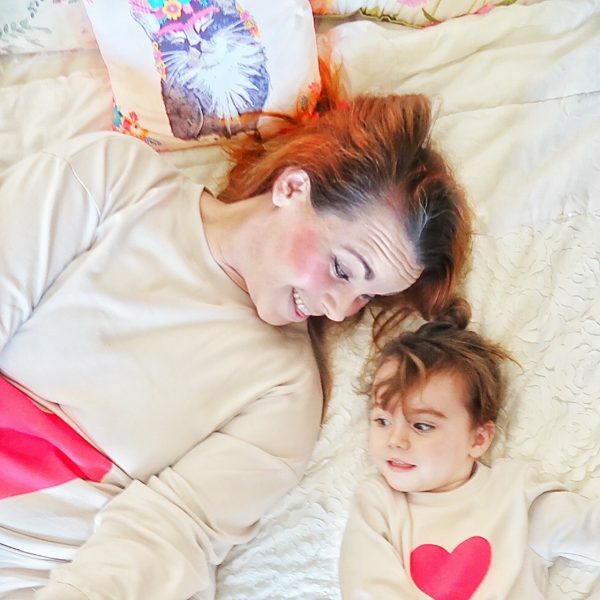 For me, these silly matching pjs are symbolic of that special mother/daughter bond. We put so much focus on Mother’s day about the traditional Mother to daughter gift, and I’ve written before about how I’m not keen on the idea of incorporating Grandma’s into gifts from my own children – I waited long enough to have my kids and I adore them, so when Mother’s day rolls around I want to be the one they celebrate it with… however… that isn’t the case for a lot of people is it? Sometimes, it isn’t our mothers who raise us and fulfil that motherly role. It’s an Aunt, a close family friend, a sibling or a grandma. One of the things that I am starting to LOVE doing with Edith is twinning!! Yes, twinning. I follow a few accounts on Instagram and the American moms that I follow seem to LOVE a good twin – I’m always blown away that they manage to find clothes that match ALL the time. I can’t ever find them! What I have found (and love) are these pjs. 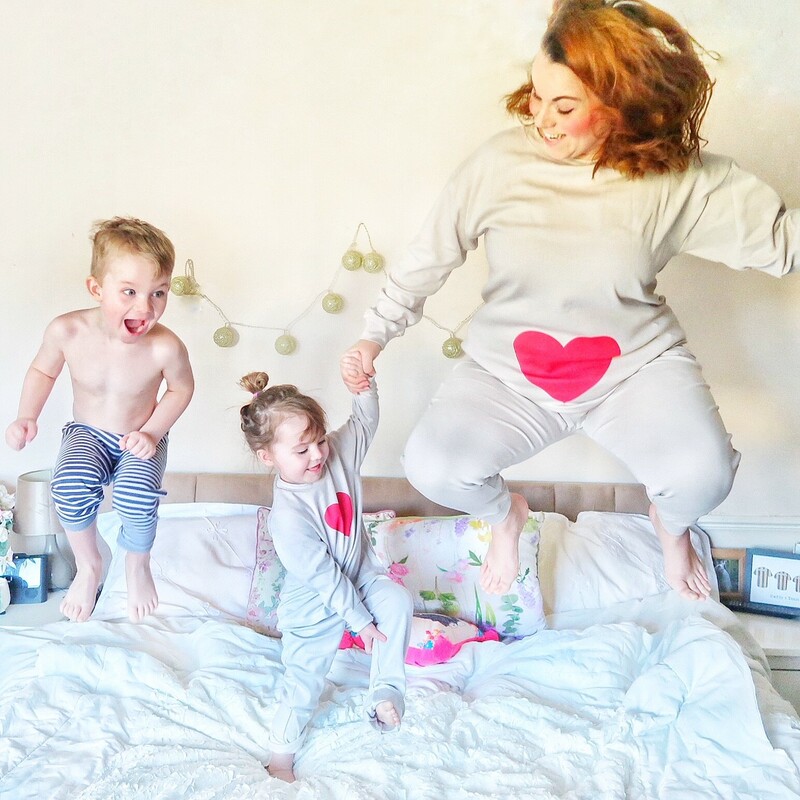 You know that over Christmas we had family pjs, because duh – insta, but now that Edith is a bit bigger and I’ve started to look for more twin style clothes I have found these adorable pjs via notonthehighstreet and I must confess that I am rather obsessed with them. 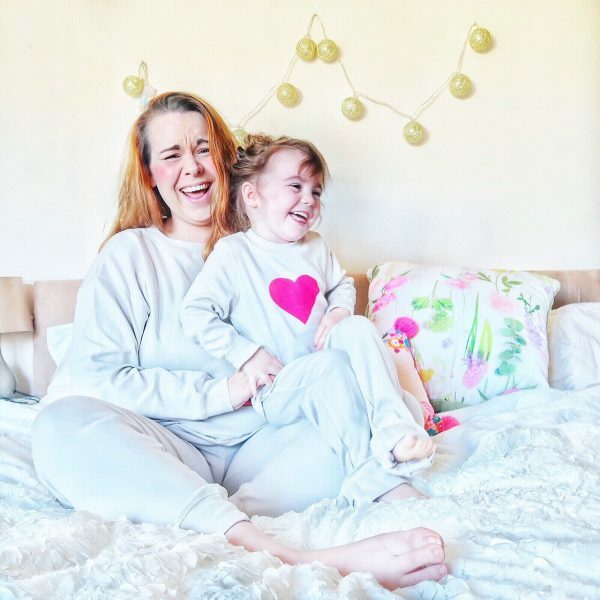 Not only are they super soft and luxurious, well designed and sweet BUT had I known about them sooner I could have had all of my minis donning the same range, from super sweet romper to pjs you see now. The sizes are fabulous and roomy (seriously, we’re nearly up to 4 stone heavier than I was before I fell pregnant with Edith… 4 flipping stone people!) so I don’t feel uncomfortable or like a sausage stuffed into its skin. As for the children’s sizes, I would probably dial down a size (unless you have a big kiddo like Reuben) because they are reeeeeally generous. As if that wasn’t enough, the trousers for grown ups have pockets – a Mother’s best friend in my humble! With that said, Mother’s day can be HARD when you don’t have the traditional mother/child relationship. Most gifts are pitched at “Mum” or “Mom” and that isn’t going to suit everyone. One of the things I loved about notonthehighstreet and this gift to celebrate mine and Edith’s connection is the range they had that would suit any mother figure. Any one. Old, young, for yourself or for your loved one. The range allows motherhood and the passing down of that feminine mantel to transcend tradition and I love that. These photographs are so, so sweet. Never shopped on notonthehighstreet before, but will have a look for some ideas. Thanks! I love Not on the High Street. It’s always my first stop for unusual gifts. I got my friend a Mullberry Bush with a personalised plaque for the birth of her son, it was so beautiful. Adore these pics, they’re so cute! I am glad you said not just biological mothers as so many of us have more than just our biological mothers who we feel are our mothers as well and loving what you chose. Awwh these photos are so cute. I need to get my daughter and I some matching outfits. Aww these photos are amazing, years from now, when the kids are all grown up they are going to love looking through these photos. Those matching onesies are so cute!! 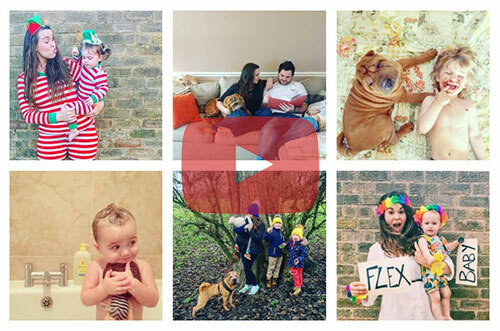 Just clicked through to your instagram and its amazing! Haha, when I moved back to England I soon realised I had to buy my Mother’s Day gift etc to send to Canada for May because it’s in Mother’s Day for US/Canada. It’s a really huge celebration here so you do find a lot of options to twin. I’m thankful to read such a lovely Mother’s Day post now. It’s making me think about what I want to do in May since I have returned to Canada. Your photos are so so cute. We don’t celebrate mother’s/Father’s Day in our house as everyday we should celebrate our parents everyday ?? I don’t usually see my mum on Mother’s Day as she lives abroad but this year she will be here the the weekend after Mother’s Day so I am looking forward to celebrating it with her!  Your photos are lovely. 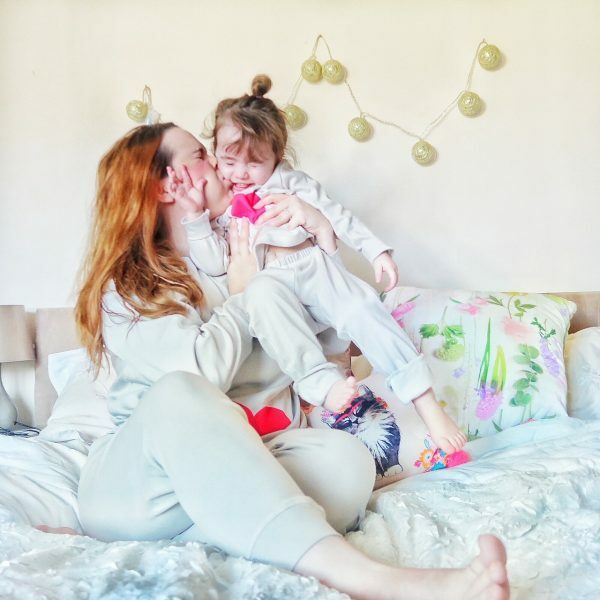 I love the matching PJs – we all wore some over Christmas! I’ll be checking out the notonthehighstreet website to see what else I can find. Have a happy Mother’s Day! I love treating my mum on Mother’s Day. This year, I’m taking her on a four-night stay at Bluestone in Pembrokeshire – we can’t wait! I love treating my mum on Mother’s Day. This day, I’m taking her on a four-night stay at Bluestone in Pembrokeshire – we can’t wait! Your photo’s are so fun, you all look so happy and the love you have for them is so lovely. I love your matching pj’s and will definitely have to check them out as I would love a pair for me and my little girl! This is so wholesome, you’ve made such a fantastic post with an even more wonderful message. Honestly it’s so important to recognise those that take on the role as mum even if they aren’t biologically related or even a woman themselves. I always give my Grandma flowers on Mother’s Day as she’s a babe and deserves to know how much she is loved.